Marinated chicken skewers accompanied by peanut sauce. Skew the marinated chicken and grill. 1. Saute chilli, cumin and fennel powder with half cup of oil. 2. Pour 6 cups of water. 3. Add candlenut, garlic, lemongrass, blue ginger and chopped onions. 5. Add grounded peanuts, sugar and salt. 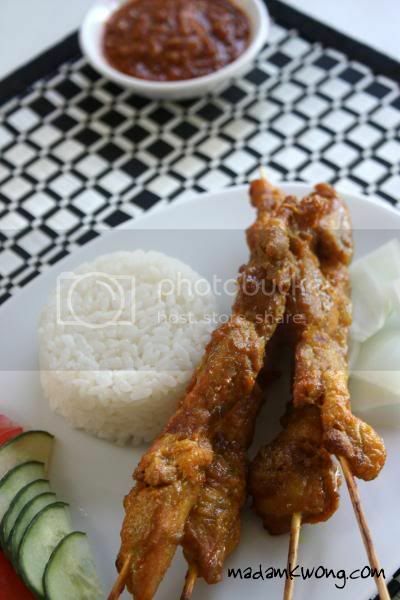 oo your satay looks good! I really miss it.